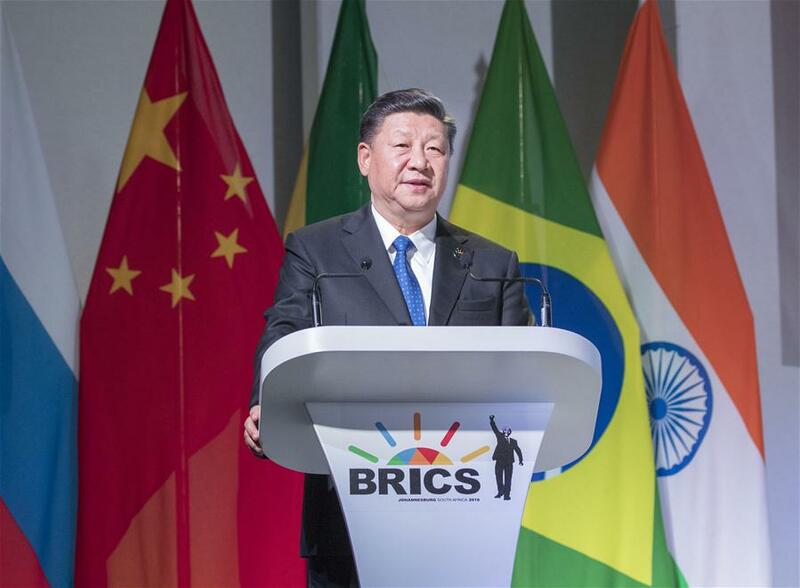 JOHANNESBURG, July 25 (Xinhua) -- Chinese President Xi Jinping said China is taking major steps to firmly support trade liberalization and open its market while addressing the BRICS Business Forum here on Wednesday. China will host the first China International Import Expo in Shanghai this November, which will serve as a new platform for the world to access the Chinese market, Xi said. He told the forum that over 130 countries and regions and more than 2,800 companies have confirmed participation in the expo by now, and over 150,000 buyers in and outside China are expected to attend this fair. "I welcome business leaders from other BRICS and African countries to attend the Expo," Xi said. China will also continue to vigorously pursue the Belt and Road Initiative to create new opportunities of social and economic development for participating countries and for them to implement the United Nations 2030 Agenda for Sustainable Development, said the Chinese president. The Belt and Road Initiative, guided by the principle of seeking shared benefits through extensive consultation and joint contribution, originated in China but belongs to the world, Xi said. It is our sincere hope that other BRICS countries, African countries and other emerging markets and developing countries will forge strong partnerships with this initiative so that its benefits will reach more countries and their peoples, he said.